Taiwan is in the midst of planning radical educational reform as it seeks to focus more on creativity in the classroom. The hope is that this new approach to teaching will see students become more able to innovate and express themselves. The reforms reflect Taiwan’s desire to foster an entrepreneurial spirit and uniqueness from its East Asian neighbours. 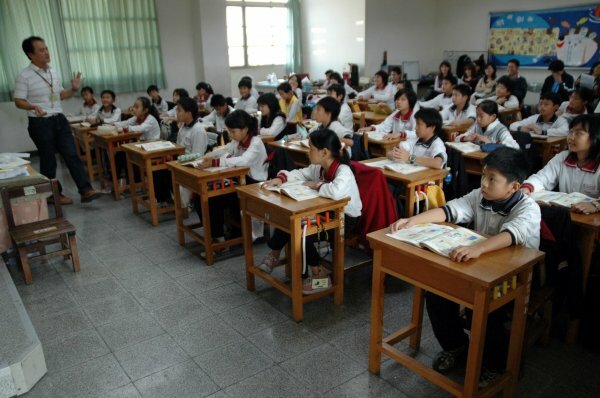 Taipei, Taiwan — Taiwan plans a radical reform of its education system, one aiming to set it apart in East Asia by playing up creativity and student initiative instead of the rote memorization that dominates classroom learning in this part of the world. Goaded by a low birth rate and a perception that high-tech innovation elsewhere in Asia is surpassing Taiwan’s own prized IT industry, the education ministry has drawn in teaching examples from classrooms as far off as Finland and New Zealand. New curriculum approved by the education ministry will phase in starting in 2018, retooling class work from first grade to high school. The approach aims to encourage students to innovate and improvise, and to be more expressive and think more broadly about the world. The current traditional Chinese curriculum here, a carryover from China's dynastic period, is built around testing student memory. The ministry has not yet developed specific class content or teaching methods. But the initiative is drawing stiff opposition from parents who say the changes will require their children to attend remedial classes to make up for lessons not learned. At the same time, Taiwan’s university admission criteria will begin to emphasize candidate interviews and students experience outside school, in addition to the entrance exams used now. Part of the impetus for change comes from a desire for the island nation to more readily spawn start-up companies and cutting-edge technology. Start-ups are crucial for Taiwan’s $122.5 billion high-tech industry, which represents about a quarter of the nation’s GDP. Since the 1980s, Taiwan's IT sector has relied on contract work rather than its own designs. But contract orders are flowing out now to China, Vietnam, and other parts of Asia with lower production costs. High school graduates who show originality in interviews or extracurricular laurels in their college applications would be more likely to launch companies later, Ms. Ma says. “Reforming the education system should help to encourage innovation, creativity, and entrepreneurship, which is certainly a way for Taiwan to boost competitiveness and maintain long-term economic performance,” says Ma Tieying, an economist with DBS Bank in Singapore. In Taiwan today, as in much of East Asia, students with the best textbook recall – often aided by after-school brush-up lessons and pre-exam cram sessions – earn standardized test scores that determine whether they enter top high schools, and later the top universities. Many younger Taiwanese, however, stress the need for their island to find a distinct identity from other East Asian nations. In China, university entrance exams each June put so much pressure on high school students that parents try to stop noisy construction work so their offspring can study in peace. Japanese students use the expression “four hours pass, five hours fail” to describe the make-or-break amounts of sleep required before high school placement exams. Taiwan wants to be more like Western countries, says Taiwan book publisher and historian Yang Lian-fu. “Education officials think the light in the West is brighter, that school there is happier and more relaxed,” he says. The education ministry says lack of innovation steers too many of each year's 300,000 university graduates into more traditional jobs rather than riskier ventures, particularly in high-tech. “Taiwanese parents, according to their culture, value stability, including stable jobs, but still there are quite a few students who would like to go out and do something different,” Ms. Ma says. Taiwanese officials fret further about competitiveness because the island has the world’s third lowest fertility rate, a threat to the future workforce, and many of its 160 universities have few academic laurels and are open to nearly anyone. Still, students and parents are sceptical about the reforms, worried that private classes will be needed to supplement learning. “There’s logic to the changes, but how you do it, that’s the key point,” says Yang Shang-en, a third-year university design major in Taipei. “If I had to study outside class to develop some other talent, if the government required that, it would be more of a burden for me."